This Christmas, as I contemplate the true meaning of the holiday, I am brought back not just to the birth of my Savior, but to the reason for His coming–to save me and my fellow sinners from our sins. So, this Christmas I think through not just the nativity but all the way to Calvary and beyond. Speaking of beyond, I think of so many of my friends who have lost loved ones this year–spouses, siblings, children, grandparents, parents, unborn children, close friends. On one side, I can almost see them singing with the choir of angels, “Gloria in Excelsis Deo!” Then I started thinking, at this time of year when we celebrate the birth of our baby King, the very miracle of His birth means that God Himself gave up His Son from the glories of heaven for a while too. And I pray for those who have a painful glimpse into the glories of God’s great Sacrifice. This Christmas, help me to focus on Christ and not get caught up in the hustle and bustle of this holiday season. Let me show those I come in contact with the glories of your mercy and grace and love–whether it be family or friends, or those in the grocery store or shopping mall, or even on the roads–let me be an example of your patience and peace, and forgive me of my own impatience and selfishness. Whether there be snow or sunshine, whether we be near our loved ones or far away, whether we have great sorrow or great joy, great wealth or great need, may Christ shine His light and likeness into our lives–a light that is greater than even the star that shone over Bethlehem many years ago. And may I cling to the cross where King Jesus shed his blood on my behalf to save me from my sins to the glory of His great grace. “Dispatches from the Front” Now Available in a Boxed Set! I recently started working for Frontline Missions International, and I wanted to let you know of an incredible resource that Frontline has available. Over the past several years, they’ve been producing the “Dispatches from the Front” DVD series, providing glimpses into international missions in the world’s hard to reach places. They are inspiring, convicting, Christ-focused and professionally produced! The first five episodes of the “Dispatches from the Front” series are now available in a boxed set at Amazon for only $50! These boxed sets would make great gifts! It’s not too early to start planning for Christmas! Order Here! You will not regret it! 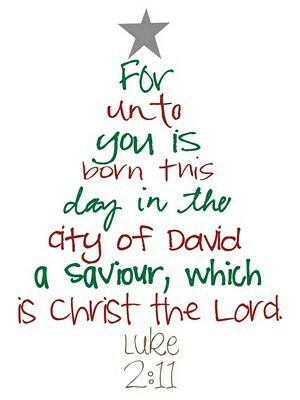 I’ve heard the Christmas story and celebrated the birth of Christ my whole life. Every Christmas we put up a nativity in the living room as part of our celebration. But this year, through sermons and testimonies and readings, I have come to appreciate the Christmas story in a new way, with a new perspective. Here’s a sermon that Pastor Brooks preached a few weeks ago that got me started. He went through II Chronicles 28 and Isaiah 7-9 and gave the backstory of the prophecy of a Savior. At that time, the people were misplaced, distraught, and grieving over the loss of many men and children who had been killed during a time of captivity. It was at this low point, that God told Isaiah to tell His people that a baby was to be born who would be their “Wonderful Counselor, Mighty God, Everlasting Father, Prince of Peace” (Isaiah 9:6), their “Immanuel” (Isaiah 7:14) – God WITH us! He had not left them alone. I also saw the perspective of what Mary and Joseph went through. It took a great deal of faith on Joseph’s part to trust God (and Mary) when his betrothed announced that she was pregnant and she hadn’t done anything wrong. It took faith on Mary’s part, as she was young, scared, and had all kinds of changes happening to her body that she was unfamiliar with, not to mention the scorn the town must have placed on her for being pregnant and unwed. It must have been hard to travel on the back of a donkey being at full-term in her pregnancy. I’m sure she felt every bump along the long, dry road. And then, there must have been feelings of doubt and unbelief and fear as they could not find a room to sleep in in Bethlehem, but were instead forced to nestle down with the stinky, dirty, overcrowded animals in the inn’s stable. Joseph must have thought, “Don’t you understand?! My wife is carrying the Messiah! She’s 9 months pregnant, and you can’t find a few square feet for her to rest? !” But instead, he stayed with her and coached her through the pain of contractions and the stench of manure to bring forth the perfect Christ-child, Jesus. It took faith from both of them to trust in this baby as their Savior. And then this baby Jesus didn’t stay a cute little baby in a manger. He grew to be a man, a perfect, sinless man, who would die for the sins of mankind, my sins, on a cruel and crude cross. Praise Him! Thank Him! And when you look at your nativity set, remember the journey His earthly parents went through, and the path He took from that humble stable to the humiliating cross, and know that He had you in mind the whole time. Trust Him! Love Him! For He did not stay dead. He arose! And lives triumphantly in heaven, preparing a place for each of us. And it will not be a humble stable, but palaces of grandeur, glorifying the God of the Universe! 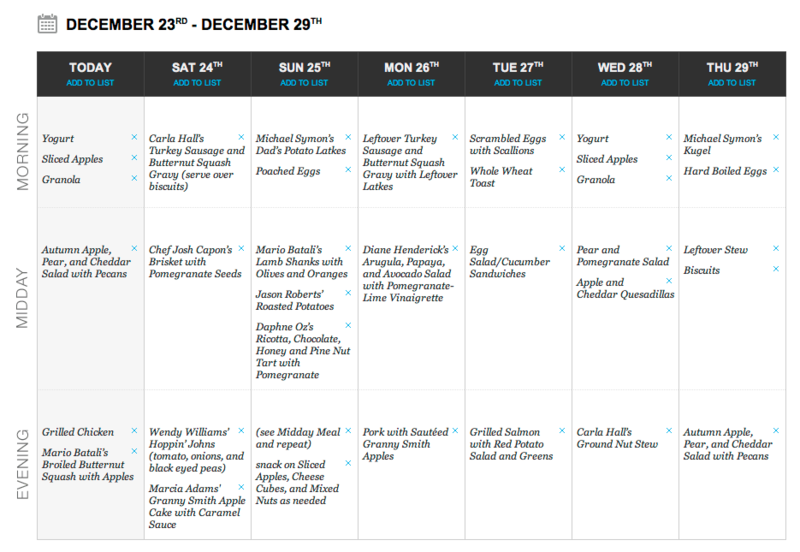 A Merry Christmas Basket and Meal Plan! This year’s Christmas basket included Granny Smith Apples, Sweet Potatoes and Yukon Golds, Lettuce, Tomatoes, Oranges, Green Beans, Pomegranate, Butternut Squash, and Sweet Onions. (Other Recipes from the Meal Plan can be found in past Weekly Meal Plan posts). What will likely happen in my house (and perhaps yours), is that you’ll plan your Christmas Dinner as your main meal for the week and then snack and attend parties and family gatherings for the rest of the week. Leftovers will likely be a part of this week’s menu for all of us, but that doesn’t mean that they can’t be every bit as delicious as the feast itself. Enjoy plenty of beautiful, organic produce this week! Keep it light and healthful and enjoy the time with family and friends even more than you enjoy the food! I hope you have a blessed and peaceful holiday season, full of family, food, and festivities! Merry Christmas from My Journey to Lean! Tis the Season for holiday hecticness! I’m almost done with Christmas shopping. I have a few more small items I want to get Bryan, but other than that, I think all I have to do is finish wrapping gifts and tucking them under the tree! It certainly has been a busy time, ever since we got back from our little mini-post-Thanksgiving-vacation in Tennessee. I haven’t had a lot of time to post, so let me share a semi-brief recap. Let’s start with last Friday. A dear friend and coworker, Grace, is moving away soon, so a group of us got together and had a sushi lunch at Murasaki downtown to celebrate and wish her well in her new endeavor. That night, I started decorating for Christmas. I pulled out all the Christmas China and stemware and started setting up the dining room. Saturday was a wonderful day! Bryan came home from work around 9:30AM (my night shift man) and we decorated the Christmas tree! It’s a sky blue, white, and copper/brown theme this year, and of course we always hang the little wooden bear ornaments. I attempted my first batch of homemade English Muffins, using Simply Life’s recipe. They turned out pretty good. I used white wheat flour instead of the recommended combination of whole wheat and all purpose, and my yeast was a bit old, so I added a little extra “for good measure” and I also think the heat on my stove was a little high for the griddling process, so they were slightly different from the recipe, but they were still tasty. Unfortunately, I forgot to take a picture. But since those had to rise twice, I decided to make some Pomegranate Orange Scones using ingredients from last week’s basket. They were so good! I even got a “retweet” from the recipe’s creator, Gina @runtothekitchen. I bought a white tablecloth for the dining room and two cranberry red taper candles for the crystal candle holders we got at our wedding five plus years ago (not shown). And I put up the mini tree in the dining room with all of my “produce” ornaments. Yes, there’s a little chef’s coat that says “Bon Appetit,” one of my favorite sayings, and all kinds of hand-crafted ornaments from Poland in the forms of fruits and vegetables! I found them at Sur La Table last year, my mom bought several pieces for me for Christmas and I bought several more in the after-Christmas online sale. Now, that’s my kind of tree! There’s even a precious little garden gnome with his own produce wheelbarrow! I found a special treat in the Christmas decoration boxes this year that I had forgotten about from last year. Tucked neatly under the tree skirt was my set of Christmas pint glasses that I purchased last year on after-Christmas clearance! I love the gold lettering, even if they do have to be hand-washed. After a day full of decorating (and cleaning up from decorating), Saturday ended with a dinner of Chicken Lentil Soup with my friend Shannah, and some coffee and scones. I love hanging out with like-minded friends (and including coffee with fellowship is always a win). Sunday started with going to morning service with Bryan at Heritage, followed by teaching 2nd grade Sunday school. This week’s lesson was on the Trinity and Unity of God. That afternoon included some fellowship and a time of rest for me. Monday night, I had lunch with a new friend Tami from church. It’s amazing how God can bring people from different backgrounds together to have such a special bond in Christ! Monday night, I had the privilege of attending a ladies’ banquet at Locust Hill Baptist Church and hearing Gracia Burnham share her testimony of God’s grace through being a missionary in the Philippines, being captured, being rescued the same day her husband was killed, and walking in faith while raising her children without him. I remember praying for their release back when I attended a small Christian high school in Ohio, and tonight I had the pleasure of meeting Gracia and shaking her hand. She took my hand and hugged my neck, and graciously agreed to let me share her story on my blog. She truly lives up to the name Gracia, as she walks in grace towards her fellow mankind, even sharing the Gospel with her former captors! And I pray for those in attendance who do not know Christ, that they will remember the words they heard and trust Him alone for their salvation. Tuesday night was Bible study. We served a baked potato bar and salad bar, which is always fun. And we discussed topics relating to confrontation, edification, and our obligation for accountability among fellow believers. Wednesday night was Shepherding Group. We love our Shepherding Group at Heritage Bible Church and are thankful for how the Lord is knitting this diverse group of believers together in His Name and for His Glory! Bryan and I went out for a quick date night dinner before Shepherding Group for a little “us time” in the middle of this busy week. Thursday night was my office Christmas party. In the last couple of months, our good friend Dave joined the team, working in IT, so it was fun to have him and his wife Rachel with us at the party this year. I thought the food was great, the decorations were well done, and overall, it was a good time had by all. We left early, since Bryan had to work, but it was just long enough to have a nice meal, mingle for a bit, and relax with friends. Plus, it’s always fun to have an opportunity to get dressed up a bit. Friday was our Sunday school Christmas party (no, not the 2nd graders – our adult Sunday school that we’re apart of when we’re not on rotation to teach – the LifeBuilders class with Pastor McCormick). What a refreshing time to catch up! On top of all this is full-time work as an Executive Assistant, plus blogging here and for Milk and Honey Organics, trying to keep the house clean, laundry done, and yard in decent shape, and still see family and friends, all while staying sane. Next week shouldn’t be quite as busy, but it is a busy time of year for sure. We’re looking forward to welcoming our brother-in-law James home from Afghanistan and seeing family for Christmas! Today was filled with fellowship with my friend Gina, running errands, hanging out with my sister and her boys, babysitting the neighbor kids so they’re parents could wrap up Christmas shopping for them (this included making shortbread press cookies and gingerbread and teaching them to play Blokus, along with much laughter). I hope you had a fun-filled week and are beginning your preparations for worship tomorrow. Good night! 35 And the angel answered her, “The Holy Spirit will come upon you, and the power of the Most High will overshadow you; therefore the child to be born will be called holy—the Son of God. 36 And behold, your relative Elizabeth in her old age has also conceived a son, and this is the sixth month with her who was called barren. 37 For nothing will be impossible with God.” 38 And Mary said, “Behold, I am the servant of the Lord; let it be to me according to your word.” And the angel departed from her.